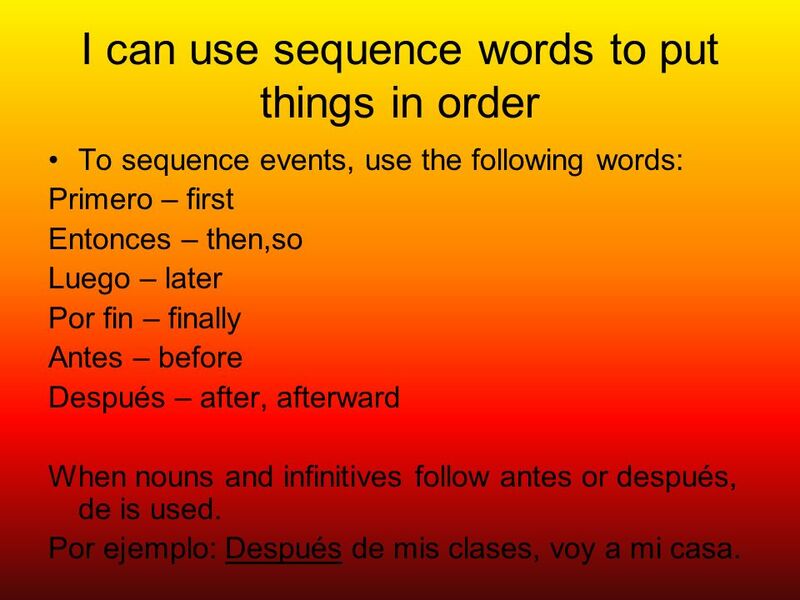 4 I can use sequence words to put things in order To sequence events, use the following words: Primero – first Entonces – then,so Luego – later Por fin – finally Antes – before Después – after, afterward When nouns and infinitives follow antes or después, de is used. Por ejemplo: Después de mis clases, voy a mi casa. 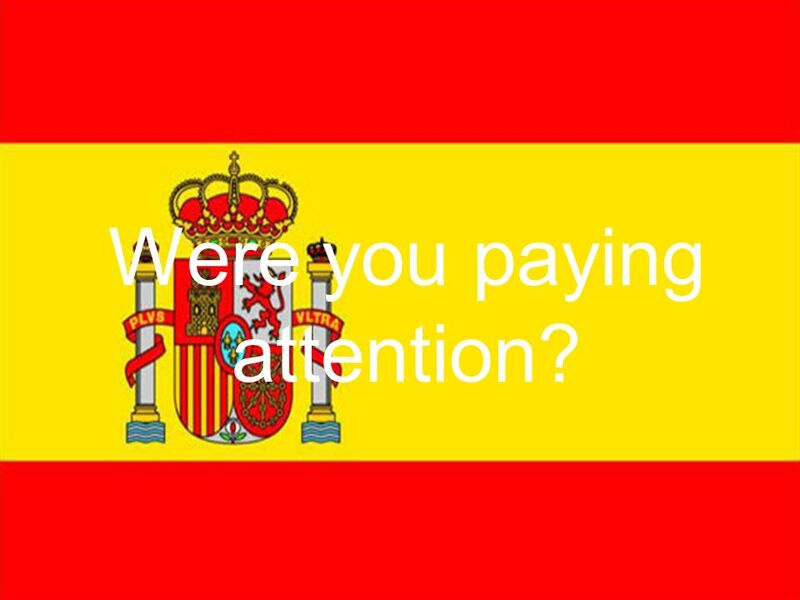 6 Were you paying attention? 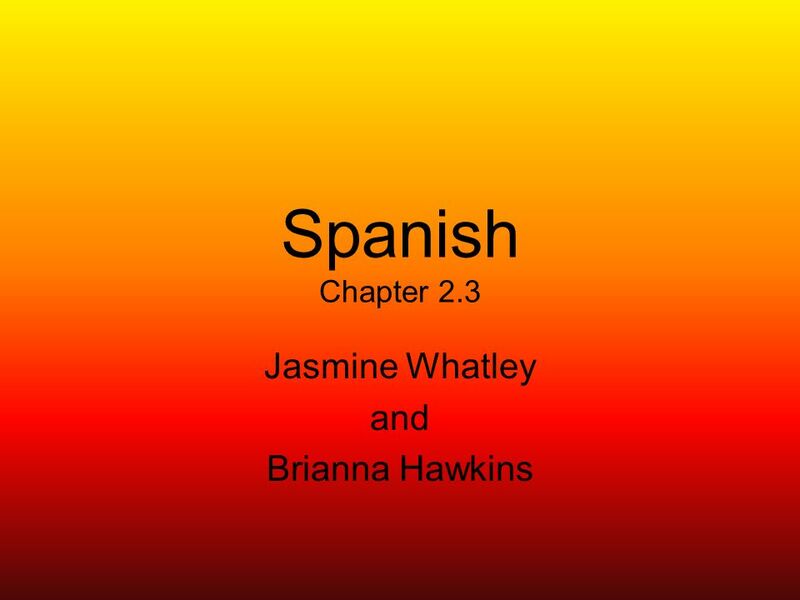 Descargar ppt "Spanish Chapter 2.3 Jasmine Whatley and Brianna Hawkins." 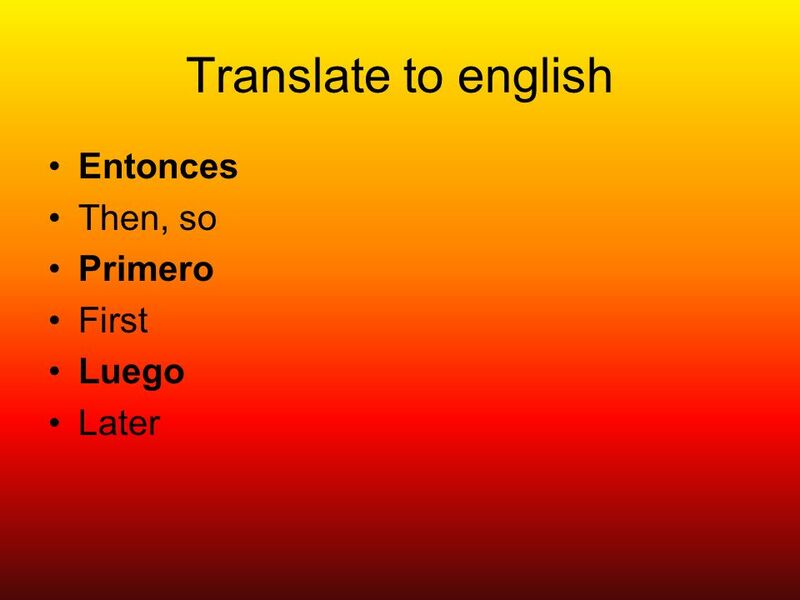 El verbo – IR- Sra. Medeles Herget Middle School Página 120 en el texto. 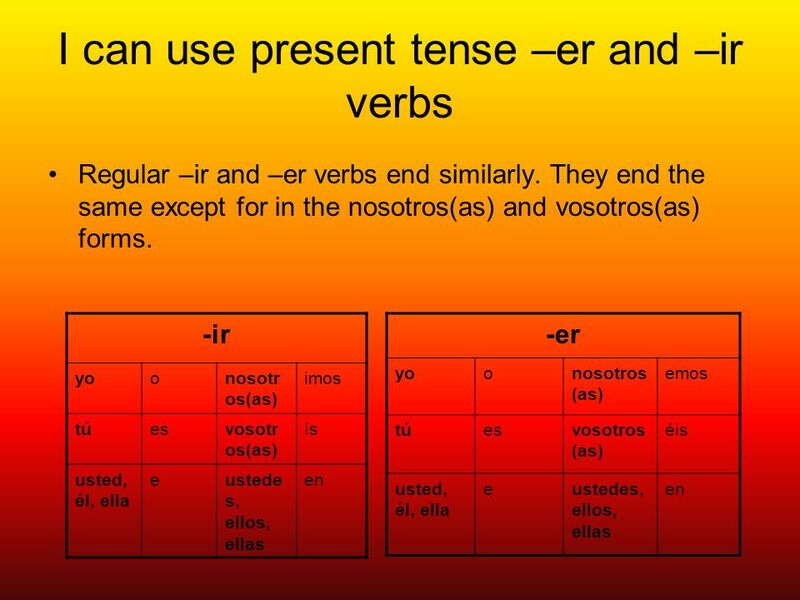 The verb ir. 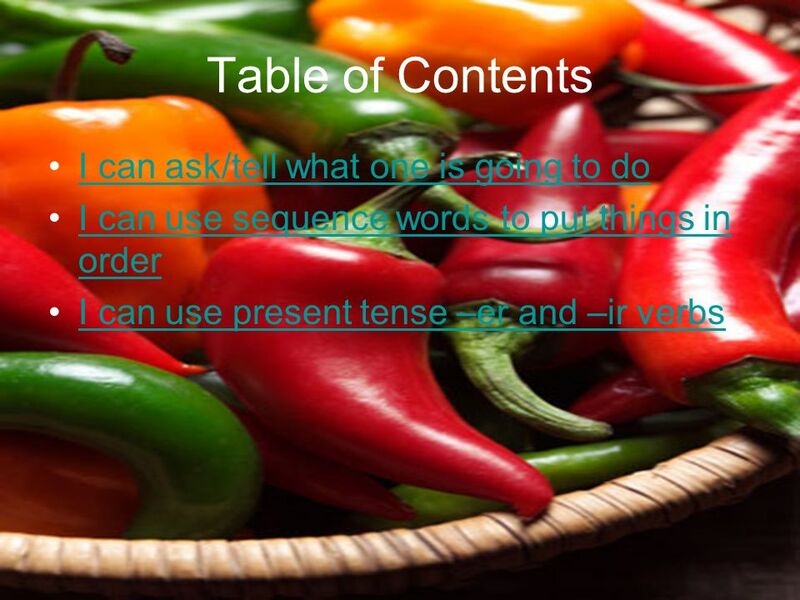 Why is the verb ir special? It means to go. 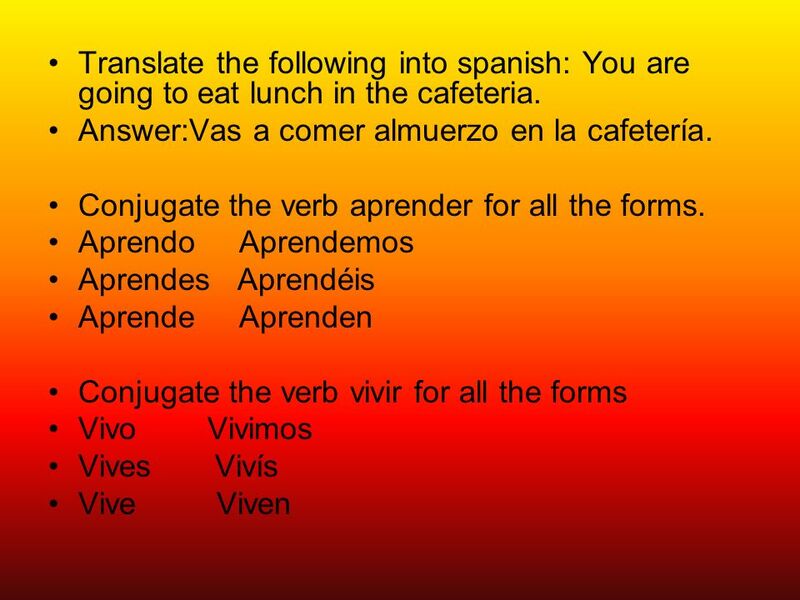 It is an irregular verb in all forms. 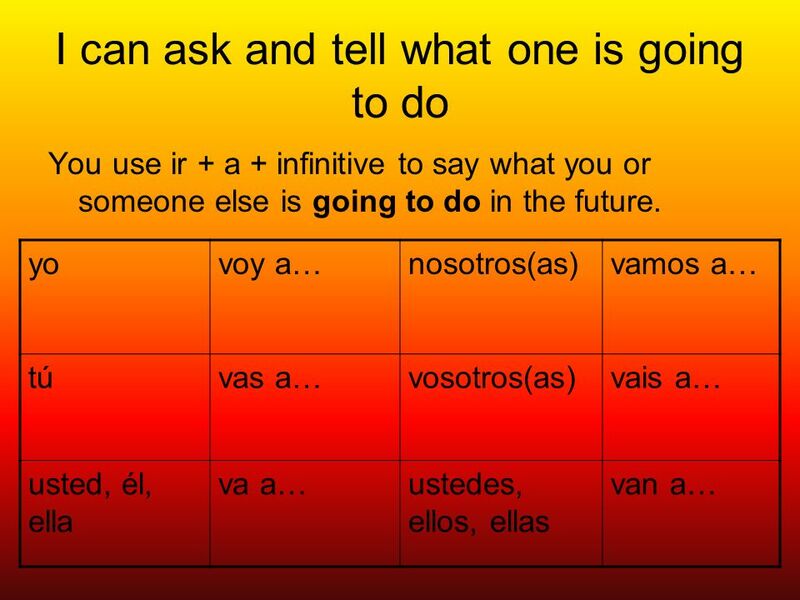 You must use a (to) with the verb. If the place is masculine.